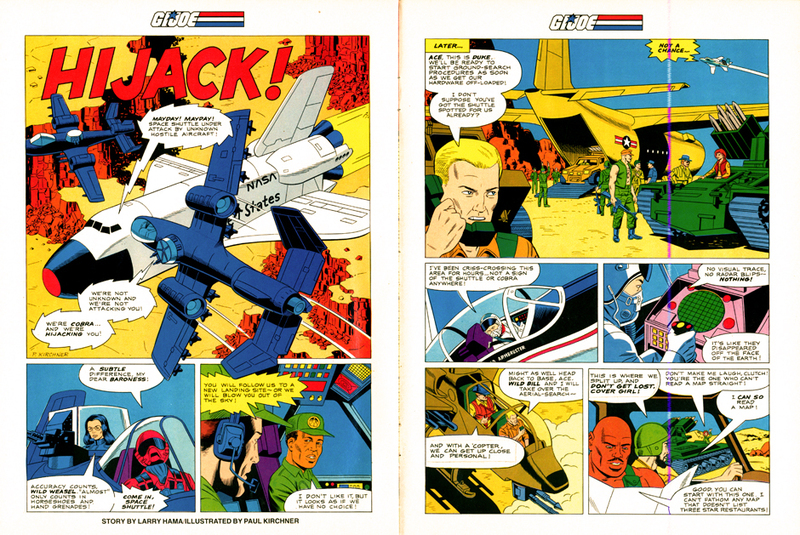 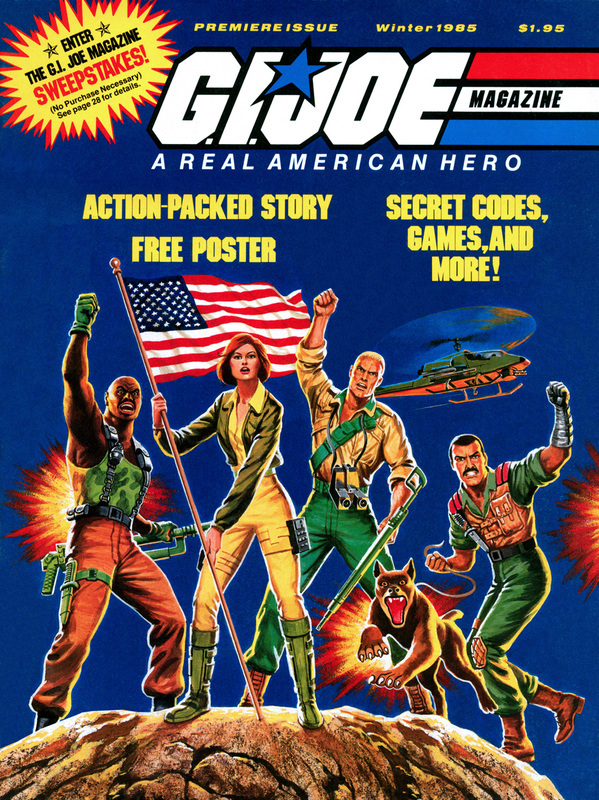 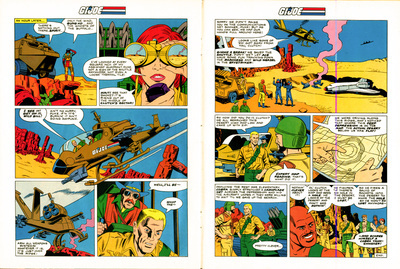 ​G.I.Joe Magazine first appeared in the winter of 1985. 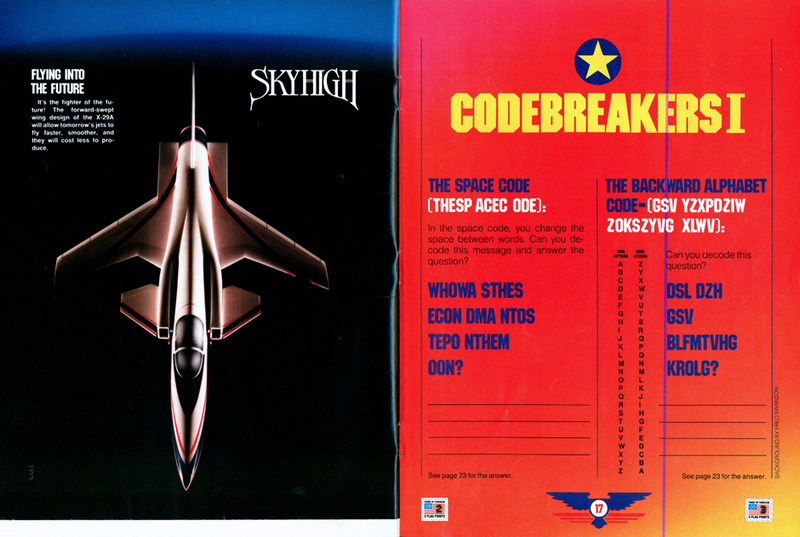 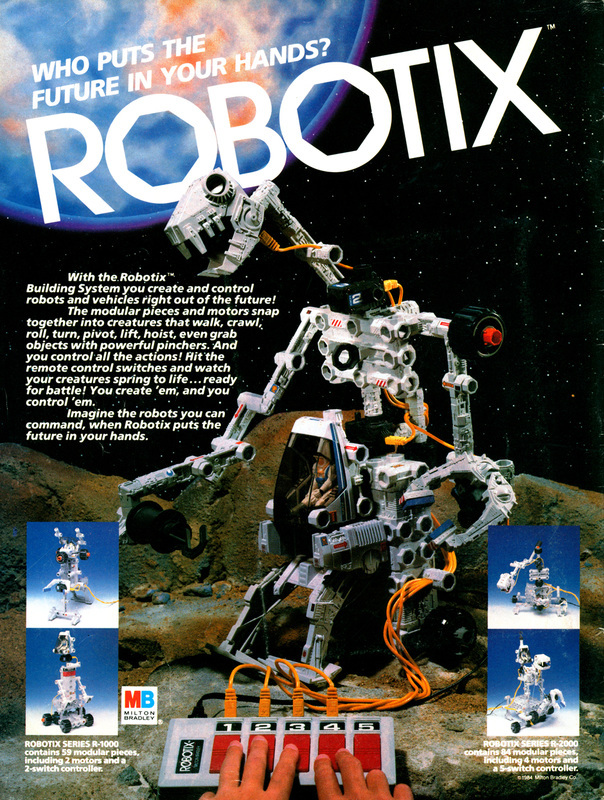 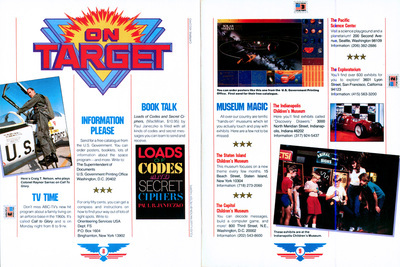 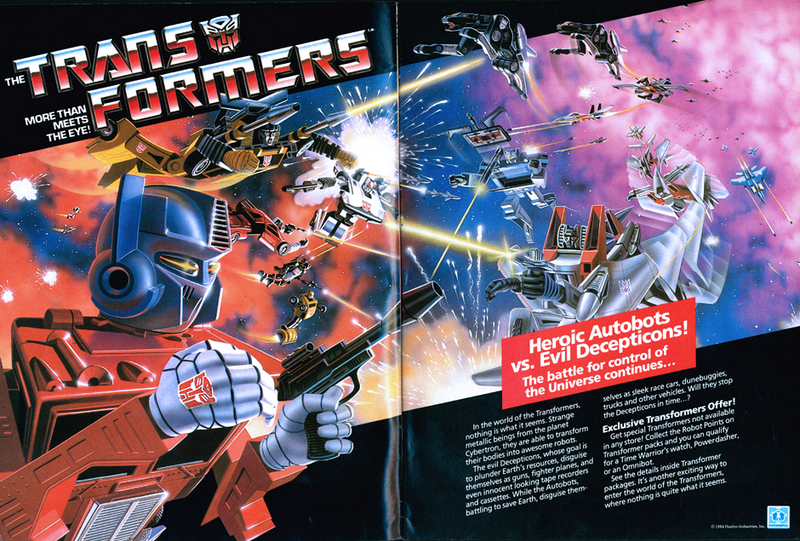 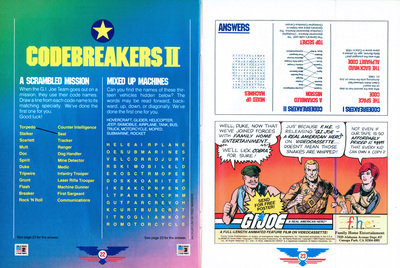 It featured "action stories, articles, games and puzzles." 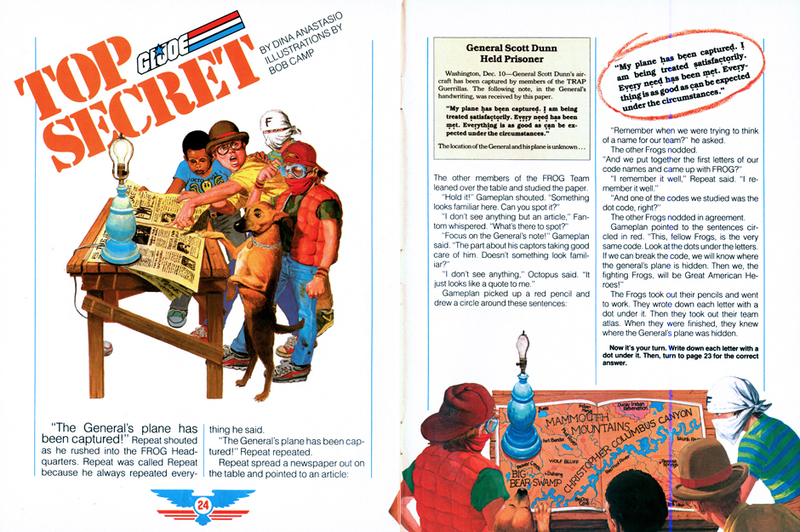 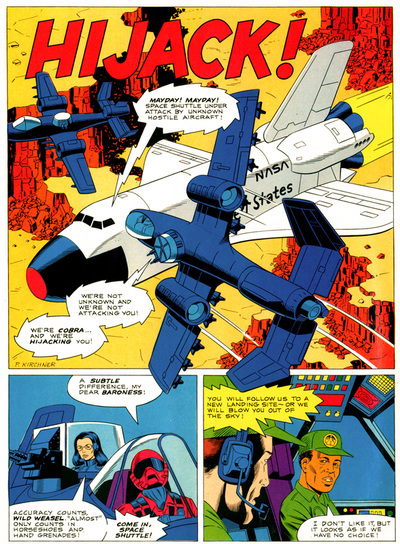 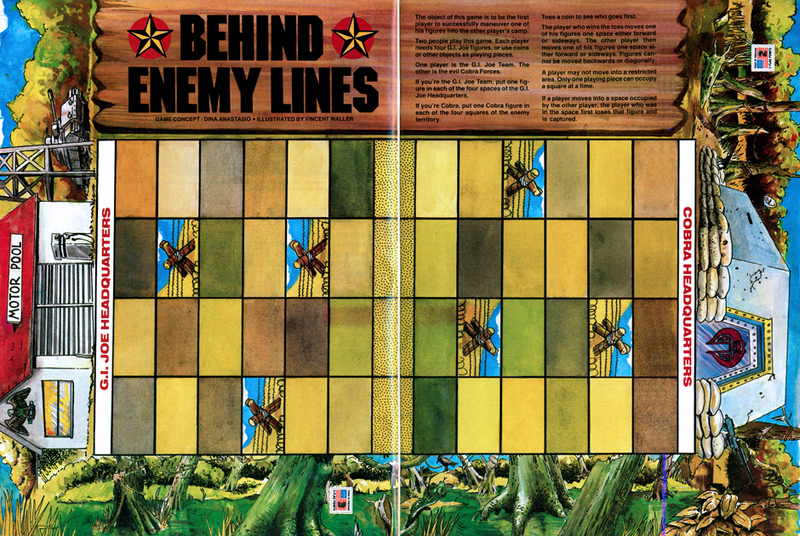 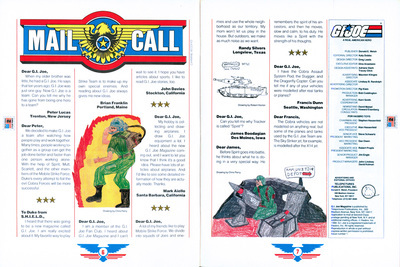 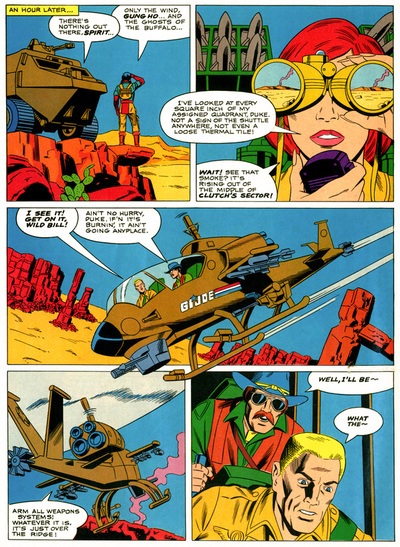 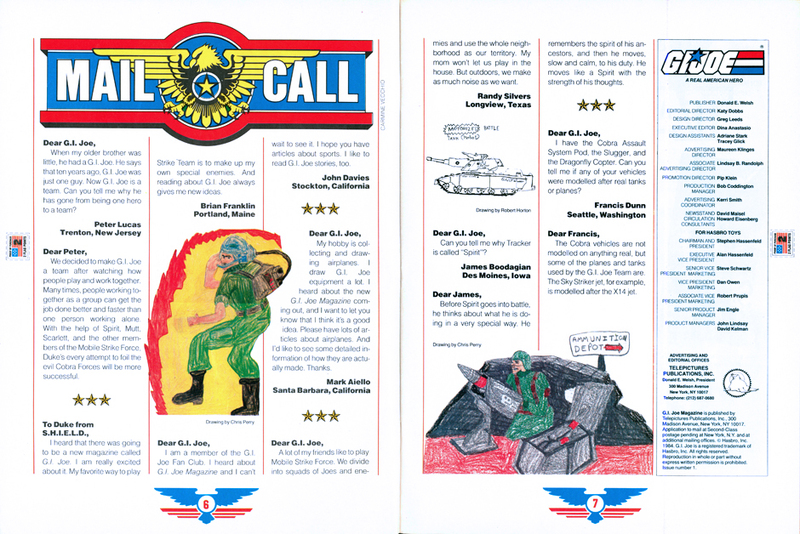 It also featured letters and drawings from fans, 12 hidden Flag Points, a pull out poster featuring the upcoming 1985 Joes, and an original four page comic by Larry Hama and Paul Kirchner titled "Hijack!" 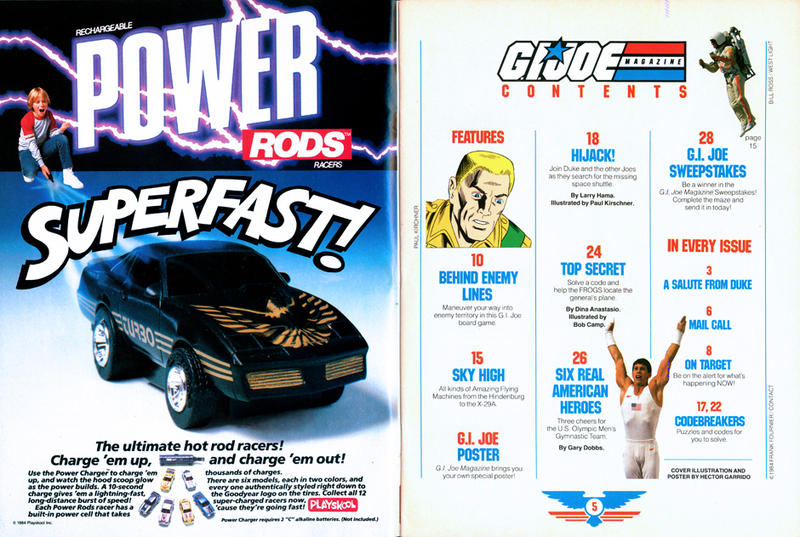 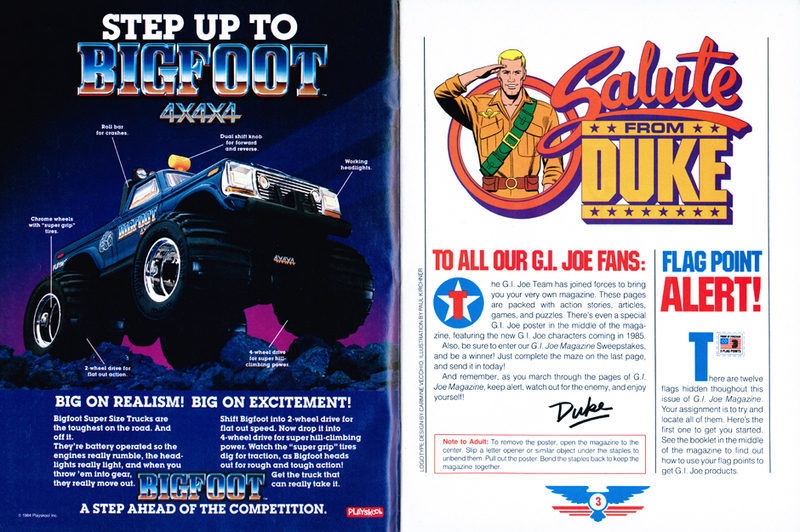 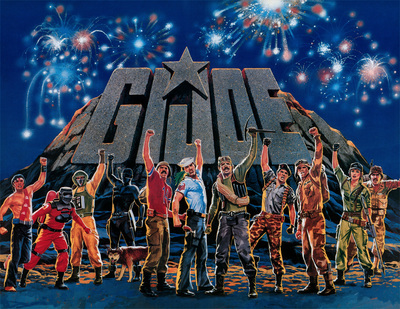 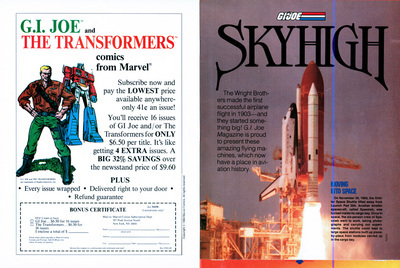 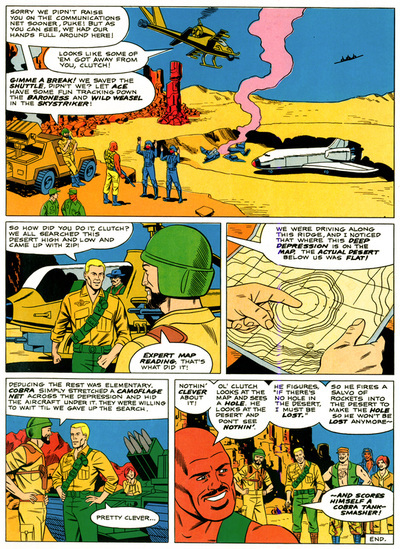 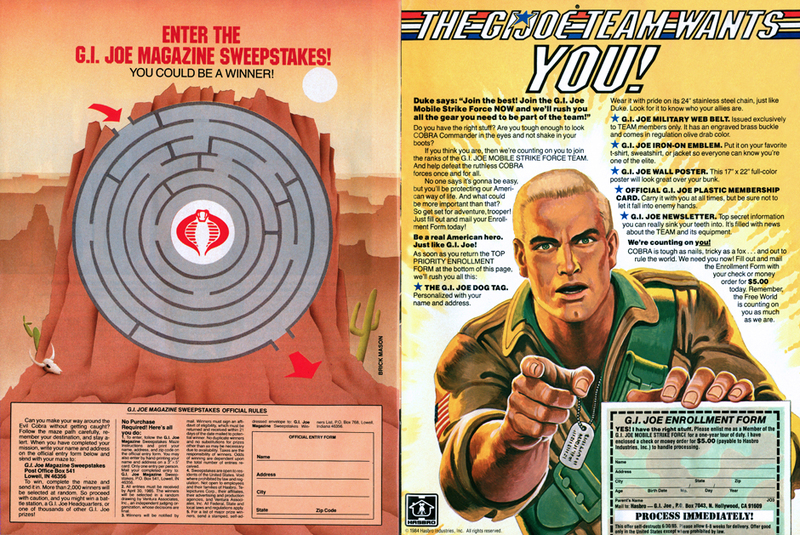 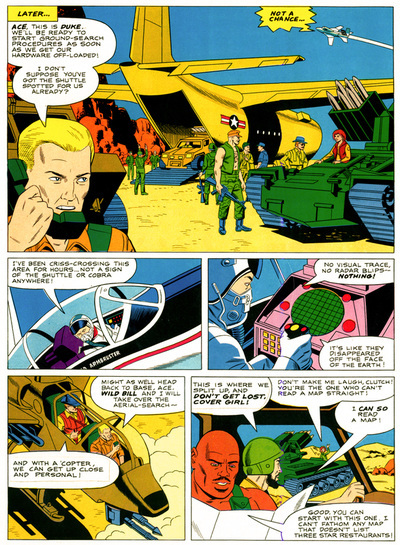 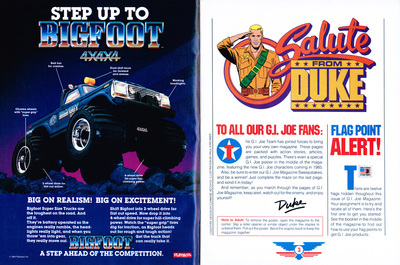 G.I.Joe Magazine would not appear again until two years later. 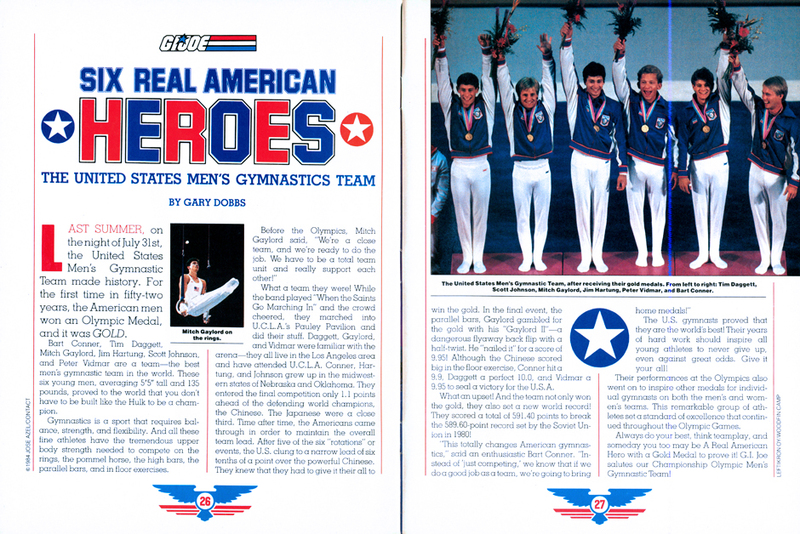 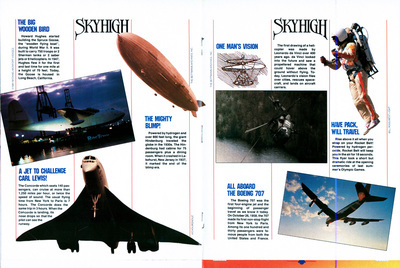 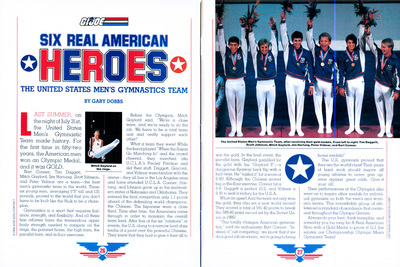 The Winter 1987 issue kicked off a two-year quarterly run serving up eight more issues through 1987 and 1988.